Willem Dafoe gives a magnificent, Oscar nominated performance as Vincent Van Gogh in painter-filmmaker Julian Schnabel’s (Before Night Falls, The Diving Bell and the Butterfly) portrait of the famously troubled post-Impressionist artist, whose virtuosic talent went largely unrecognised in his lifetime. 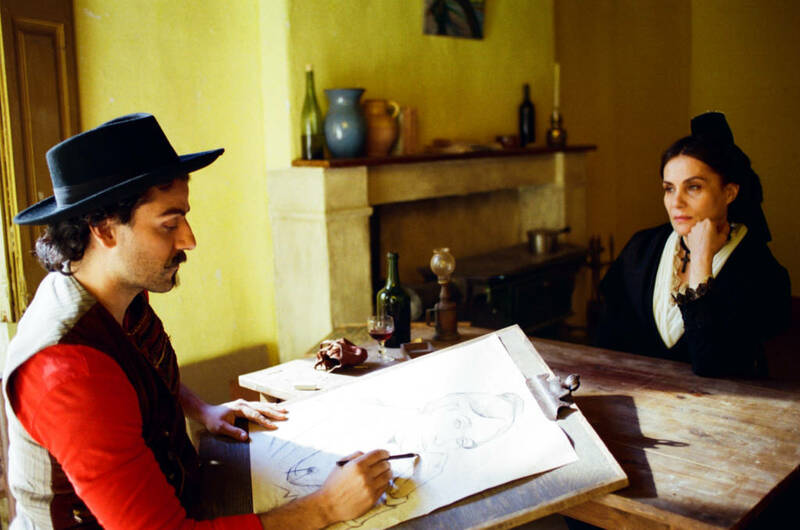 Shot on location in Arles, Bouches-du-Rhône and Auvers-sur-Oise in the south of France, it follows Van Gogh through the difficult final years of his life as he struggles to make a living, to maintain bonds with the people in his life – including his brother Theo (Rupert Friend) and painter Paul Gauguin (Oscar Isaac), with whom he shares a complex friendship – while completing some of his most important works and dreaming of the longevity his art might have beyond its cool contemporary reception. Dafoe delivers a performance of great integrity and wisdom as a wildly talented but difficult, profoundly lonely and morally ambiguous man, capable of menacing behaviour and violent acts (including the famous ear episode). A very heartfelt film, At Eternity’s Gate pushes its sympathetic imagination inside the mind of the artist to depict Van Gogh’s ecstatic, almost spiritual creative response to the beauty of the natural world alongside his tremendously painful sense of exile and isolation.